Ford GT350R thread - TrackHQ.com, the Web's leading forum for track day enthusiasts, racers and time attack drivers. I received my Aim Solo 2 and Schroth quick fit pros. I’ll be ordering a fresh Bell helmet and am looking forward to the 2019 track season. There is a thread over on 6G about a member who has cracked open his voodoo to find that his valve spring chipped off and made its way through the OPG settling down in the oil pan. I found this UPR plug that may/may not hang on to something like this ( http://www.uprproducts.com/billet-oi...lug-50-35.html ) plus my plug is seeping so I figured why not? Nonetheless it's a good read about the internals of the 5.2. There's also a guy on FB doing a rebuild. Are you replacing your plug every oil change? Yeah, that's usually the reason for the seeping. I've changed it twice and put a new oem plug in the second change. Seems to be the way to go, and they're cheap. Ive ordered my Bell helmet and also got Ford Performance lug nuts so I don't have to deal with the oem onea and their damn shiny cover that deforms and sticks in the socket driving me insane. Grabbed an oemtools funnel that locks into the filler cap area just like the cap for no spill and easy 1 person filling. you change oil drain plug (plastic) every time you do oil change ? Every other. They're like $3. Installed my schroth quickfit pro harnesses, secured my gopro location and mic location, and have a spare set of new tires and brake pads ready to go. We settled on a suction cup mount on the rear window for ours. First time tacking it on track or just new upgrades? just discovered this thread and happy to offer some more info! here is my lap at ACS in a bone stock 2018 GT350, this was also my first time ever driving the car on track, what an amazing machine! 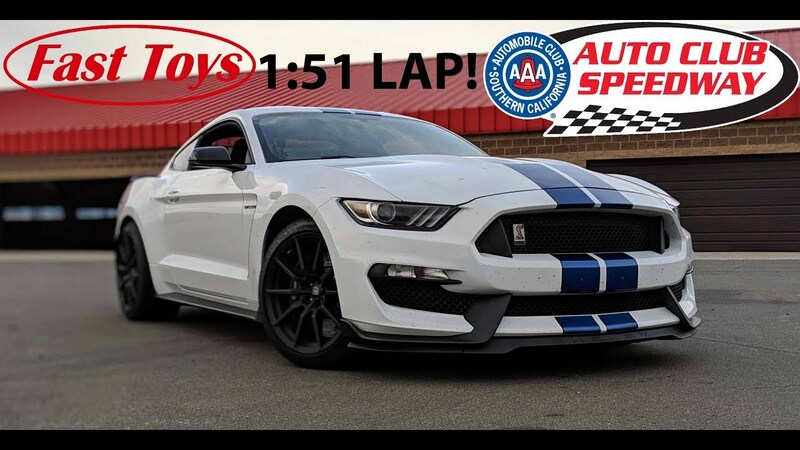 that's a great lap time for a bone stone GT350. I don't have a video of my GT350R at ACS. but here is my data plot (1:48.18). car is stock, except for front camber. I was also on stock GT350 wheels (no CF) and 3R tires (it corded in this data plot, but still sticky, much better than PSS). your T5/T6 speed is great......I need to copy your line there. Last edited by bellwilliam; 04-09-2019, 01:52 PM.